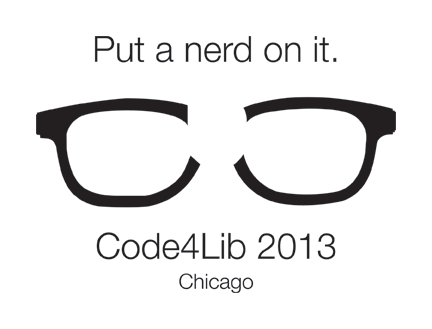 Designs for the official Code4Lib 2013 conference are now being solicited! 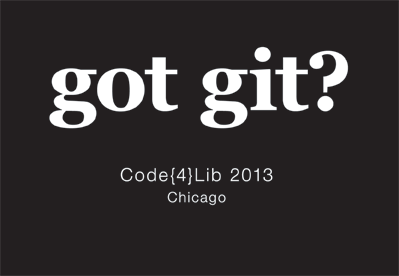 Submit your proposal by December 31 for consideration! T-shirt designs should be 1-sided, single color designs suitable for screenprinting. 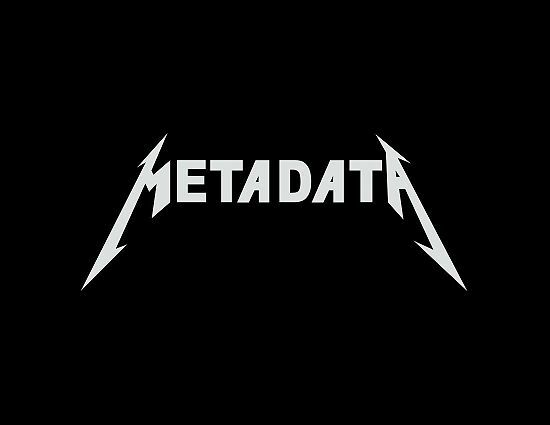 Post an image file of your print-ready proposal to this wiki page. You can host the image yourself or use the Upload file feature of the wiki. If your print-ready document is different from your displayed image, include a link to the print-ready file. All proposals posted to this wiki page while the calendar year is still 2012 will be considered. 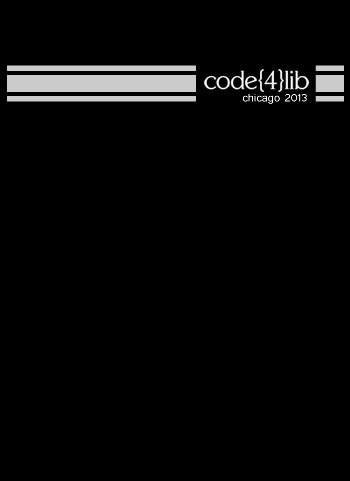 This is my awesome design. 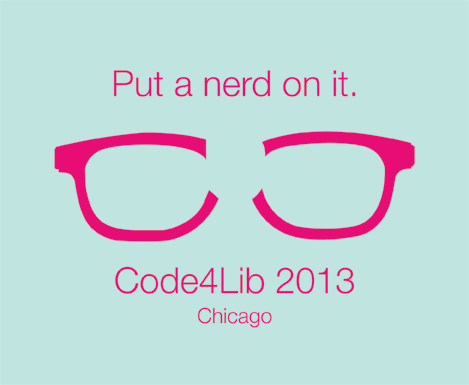 This is my proposal image for the code4lib t-design for the 2013 conference. 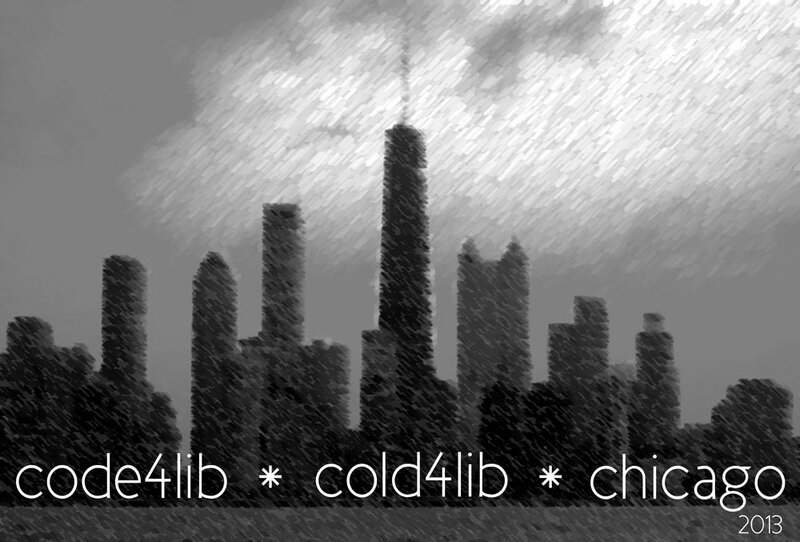 It's the Willis tower with the words code4lib, with the tower acting as the "L" with Chicago 2013 underneath. The image used was taken from the Wikimedia Commons. I know mine is late…I didn't know about the deadline on the 31st. I humbly ask that it be considered. If not…well…I will be heartbroken, but will somehow pull through. 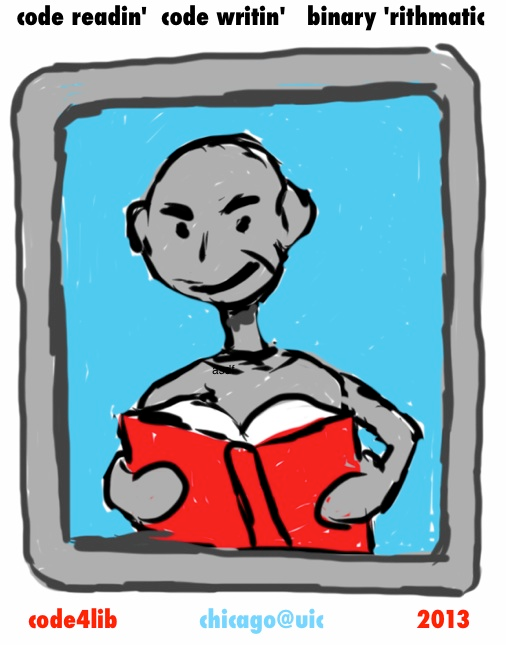 I am having a professional artist from the IconFactory help me design this (I confess to having an ulterior motive). 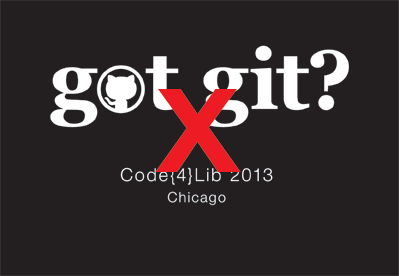 I'm Rich Wolf (rich wolf@uic.edu) and I'm presenting. This page was last modified on 11 January 2013, at 23:01.